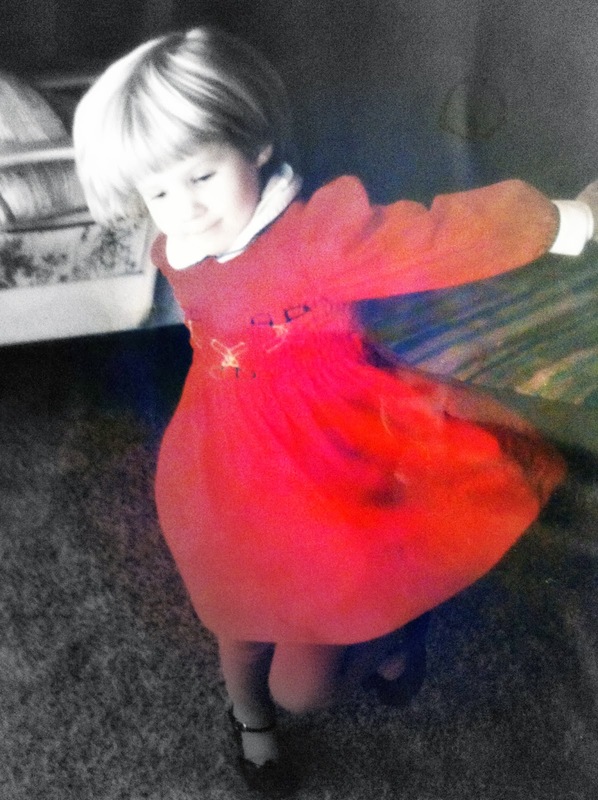 Ordinary Goodness: The red dress and the words. The red dress and the words. College orientation + a slew of personalities + great people + talented writers + inspiring, intimidating faculty + nerves + introvertedness + all the writing workshops I've ever taken or could have ever imagined in the world + speakers + delicious all-you-can-eat local food + homework + laughter + negative temperatures + new things to think and share and speak and do ALL THE TIME (x 10 days) = one exhausted me when I arrived back home on the 10th. Side note: I swear that I will never complain about 40 degrees ever again. Everyone is asking me how it was, and it was wonderful, and I'm so glad I'm doing it - but in my mind the residency portion feels quite far removed from what I have to do now. I have to read and annotate 13 books this semester, and write a full-length manuscript - granted, that part's over two years, but still. I have to constantly be creating new material, revising and crafting and forging this piece into whatever the hell it will look like ("publishable quality"?) by January 2016. I'm writing a memoir, creative nonfiction. (Not that you couldn't have guessed that from reading one iota of this blog.) And I have to admit - even though I have my topic and my timeline and even though it all happened in real life, it's not like I have to make anything up - I am having the most difficult time BEGINNING. For the first time in awhile, I am feeling uncertain about telling my own story. Because I'm not sure where to start. Because I'm not sure where to end. Because I'm not sure how to frame it, to center it so it won't be a smattering of scattered thoughts and memories floating on the page that will confuse or distract. But also because sometimes the biggest fear of all catches in my throat: What if my life, my story, isn't worth reading? Hell, every other person has a blog like this one, trying to find beauty in the ordinary days. My desire to tell my story is not unique, and perhaps the story itself is even boring. I'm only 26 - what story do I have to tell that matters? I go back through it in my head, and my story doesn't seem like much, not when I think of it in terms of what others might like to read. It's pretty plain and simple, no journey of epic proportions, no scandal, no shocking reveal. I found revelation in day after day after day of ordinary living. Sure, there's conflict, but is it exciting enough? People could tell stories more exciting than mine all day long. And I know my story so well, I actually find it fascinating - but what if I'm not able to communicate it in a way that others appreciate, or even understand? These are my fears and worries closest to the surface. I'm sure if I keep digging, there are more. At my third birthday party, I wore a cherry red dress and had an Angelina Ballerina cake. After food and presents, so the story goes, I really wanted to dance in my red dress, and I really wanted everyone to watch me. It's that toddler fixation, I guess, wanting to be at the center of attention, especially on one's birthday where everyone is clearly there to celebrate YOU. But as I twirled, none of the kids stopped to watch me. They were occupied with some fun activity (finger painting, I think? ), and soon their parents bundled them up and everyone headed home. Later that day, my dad took a video of my mom and brother playing outside in the backyard. At one point, he swings the camera up to my bedroom window. There I am, eyebrows furrowed and mouth in a frown as I watch my parents and brother play. I am learning a lot already. I have an advisor who will critique my work, and classmates who offer understanding and encouragement from around the country. I am reading books that, while intimidating me like crazy, give me new ideas and a sense of who has gone before me. No matter where I am at the end of two years, I know it will have been of great value. And ultimately, if no one wants to watch my dance, read my words, I don't want to sulk in the window. I want to feel my red dress spin around me as I twirl, I want to feel my words and paragraphs take shape and swirl into a story that is a story no matter who pays attention. If nothing else, I will have given myself a great gift. If nothing else, in the midst of critiques and suggestions and perhaps someday, uninterested agents or publishers, I will take joy from what I have choreographed, what I have lived. If no one's watching, the red dress will still be red, the dance will still be a dance, the story will always be a story. Time to close my door, turn up the music, and start twirling. Maybe one of my favorite posts of yours ever. What a positive and encouraging way to begin these two years!